The Pigeon - "Agnew & Brown / Corner Of 27th / & Smallman Sts. / Pittsburgh Pa." Target Ball is one of the rarest target balls in existence, with only two known examples. 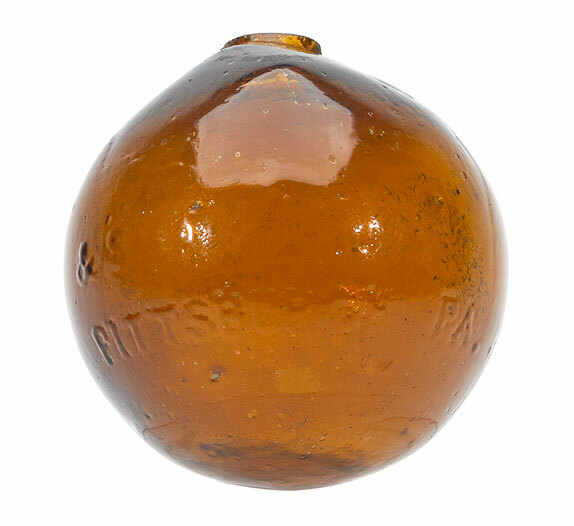 This example comes from the collection of Ann McMurphy, who discovered the target ball in her ancestral home in Southern Illinois. She believes the target ball was originally owned by her great-grandfather, Mr. George W. McMurphy, who was the original inhabitant of the property. George McMurphy originally resided in Springfield, Illinois where he was the owner of a large general store. 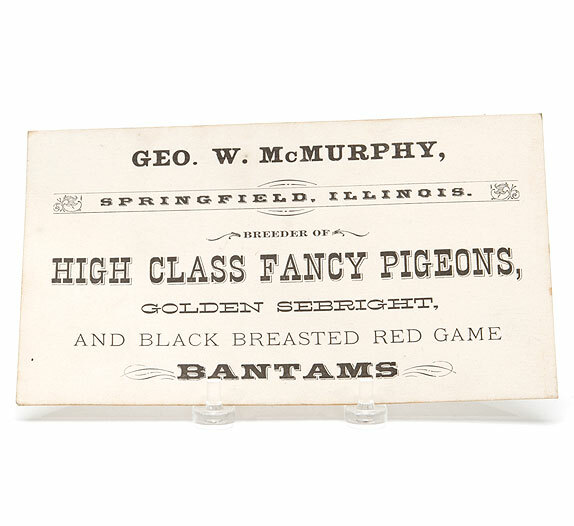 His hobby, and secondary business, was raising and selling "High Class Fancy Pigeons", as noted on the business card pictured above. According to Ms. McMurphy, "(George) did not trap shoot, nor would he in any way have desired to shoot a pigeon, glass or otherwise!" 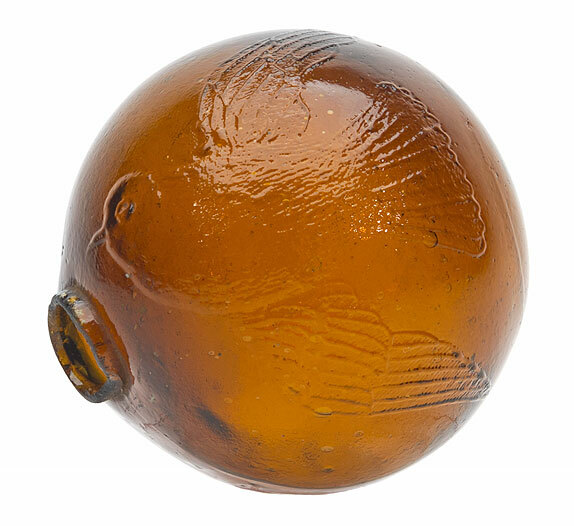 This target ball may have been a salesman's sample which George received, or perhaps a gift relating to his pigeon breeding hobby. 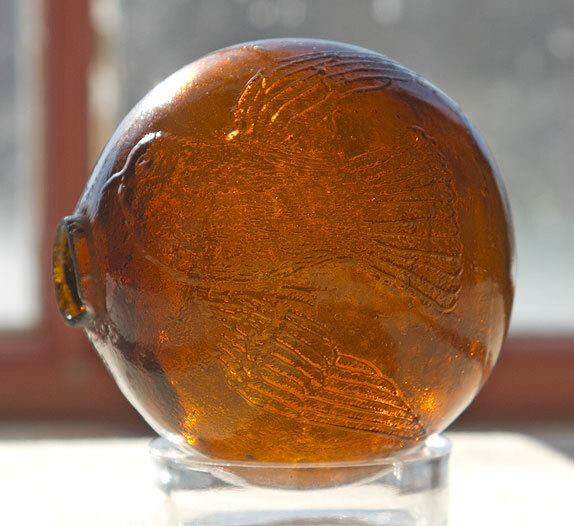 The target ball was found in the McMurphy home along with a number of books relating to the raising of "high class fancy pigeons", George W. McMurphy's business cards, antique pigeon carriers, and miscellaneous related supplies. This is certainly an exciting and rare target ball which carries an interesting and detailed history. This extremely rare target ball is being offered in our Premier Auction 159, March 19-28, 2018.